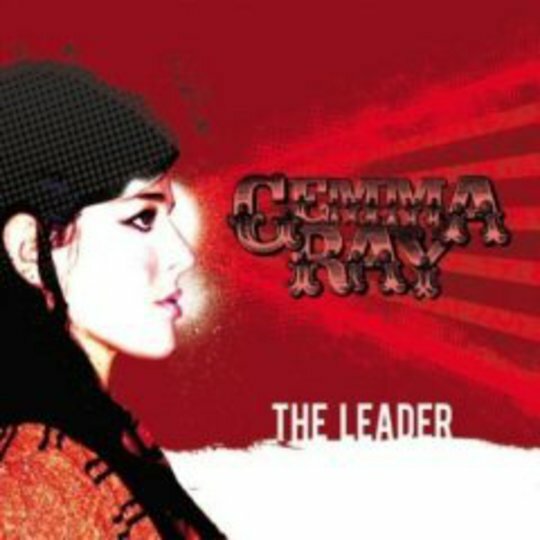 As album gestation periods go, that of Gemma Ray’s The Leader doesn’t sound particularly pleasant, as for two years Ray battled a mystery illness (blood poisoning, perhaps) that saw her in and out of hospital, composing as she went the songs that would eventually comprise this album. Unusually, then, there is no overarching theme, and repeat plays fail to yield a cohesive thread among an intermittently enjoyable set of compositions. Formerly of The Gemma Ray Ritual, reinvention as a singer-songwriter with strong retro leanings may reek of cynicism in this Winehouse-informed age; furthermore this album is immediately hampered by its somewhat ostentatious title (Leader of what? Of who? Really? Appointed by…? At least when gangsta-rappers make spurious claims it's clear what they're inferring), the tracks book-ending it (where Ray helpfully and repeatedly asserts her leadership), and a none-more-irritating introductory vocal, “Hello? Hello? Hello…”. I mean – you know how annoying it is when people talk with a question in their voice? You know, heightening the pitch of each statement’s closing syllables? Question-ing? Imagine doing it as you read this? It’s no fun. Why, then, anyone would start their debut album a-proper in this manner is a puzzle in itself. Casting those quibbles aside, ‘Hard Shoulder’ makes for a decent first song – Ray’s delivery plaintive and softly expressive with but a hint of Essex twang, as she finds herself on a metaphorical hard shoulder wishing an unnamed partner in her car. The following ‘Dry River’, where she takes on the persona of an “ugly guy” – in a narrative that whatever way you look at it doesn’t make a great deal of sense – is less successful, aforementioned expressive nature ultimately more jarring than anything else. 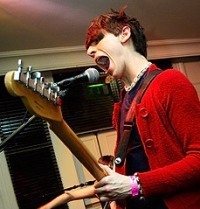 Instrumentally, The Leader furrows a path well trodden, from its predominantly languorous pace through treble-heavy, gently distorted guitars; it’s a style that coupled with Ray’s voice is both evocative on The Leader’s stronger moments and prone to unassumingly drifting by at others. Cases in point: the glockenspiel-blessed ‘Rise Of The Runts’ which posits Ray in some Olde English folk-infused beach scenario relaying a tale of communal scrawls in the sand (me neither) – buoyed by a melody more stirring than many on the record, a sense of the cinematic peeping through. Cuts like ‘Metal In The Morning’ however, riddled with clumsy rhymes and wholly forgettable, feel _so_ slight they’re almost a feat in themselves. ‘Name Your Lord’ is better – urgent in its stomping tone, while ‘Pick-Up Truck’ is worse, and lo, a pattern emerges. Ray isn’t without talent – and a voice of occasionally endearing qualities – but this album's troubled birth seems only to have lent it an air of torpor it struggles to convincingly overcome.